If you used the EQ Magnums, you’d make some SERIOUS power. But, of course, you’ll need a different manifold. 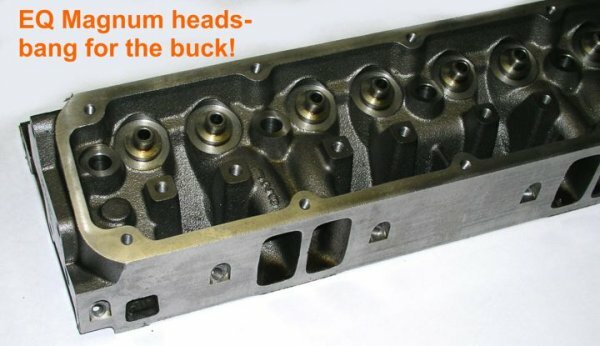 With your mild cam, you’d still be up around 350-360 HP (assuming headers). Of your 2 manifolds, the stocker makes more power, but the Ed is lighter…a real quandary!